If you’re looking for space to spread out in our well-appointed and comfortable Burlington, VT lodging, check out the McClurkin room. 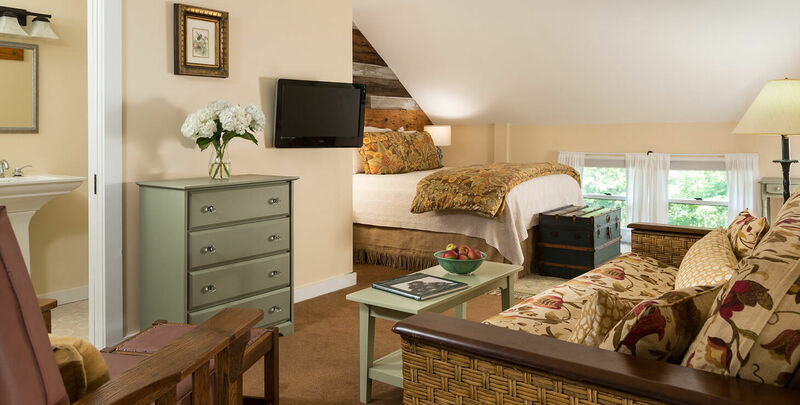 Located on the second floor of the Carriage House, guests are often pleasantly surprised by the size of this guest bedroom. Upon request, the futon couch can be made up into a comfortable full-size bed, which can accommodate one or two young children, making it the perfect place to stay in Burlington for a girls’ getaway or family vacation.